5 Feb 2014 in pavilion 7 of the Lenexpo took place the official opening ceremony of the XXII International forum of jewellery industry JUNWEX Petersburg, which brought together not only heads of leading Russian enterprises, but also representatives of authorities, public organizations and the media. More than 600 jewellery companies from 27 countries presented their latest jewellery designs at the exhibition complex "Lenexpo". 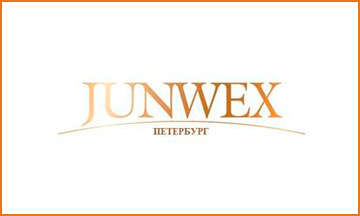 The exhibition JUNWEX St. Petersburg is the most significant project in the Russian jewellery industry and has a 22 year history. Traditionally, the project represents the best company not only in Russia but also abroad. That is why the exposition of jewelry of the forum is the largest exhibition area of the city. The company "Auto Management" served the participants of the exhibition from 5 to 9 February.